This course entails 16.0 hours of online course work followed by a final exam integrated into the online platform. Those participants receiving a passing grade on the examination (at least 80%) will be deemed a Virginia Certified Title Examiner™ (VCTE™). 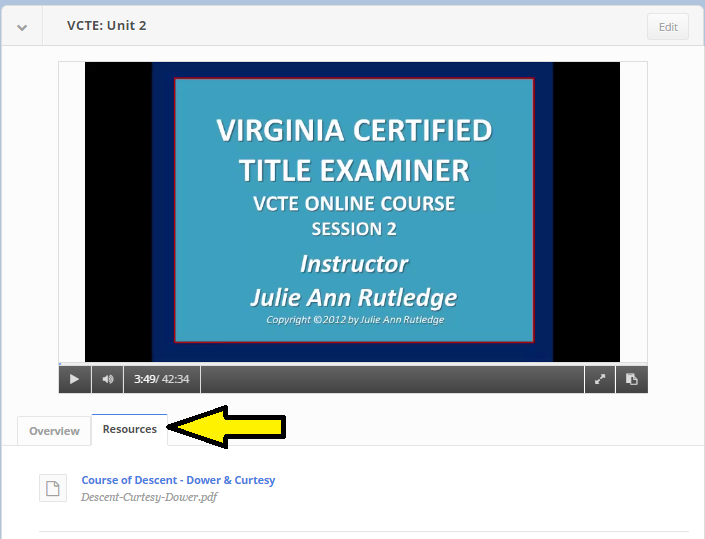 VCTEs will receive a course completion certificate documenting their certification. VLTA lists all certified examiners as preferred providers on its website, and strongly encourages all agents and underwriters to use only VCTEs. 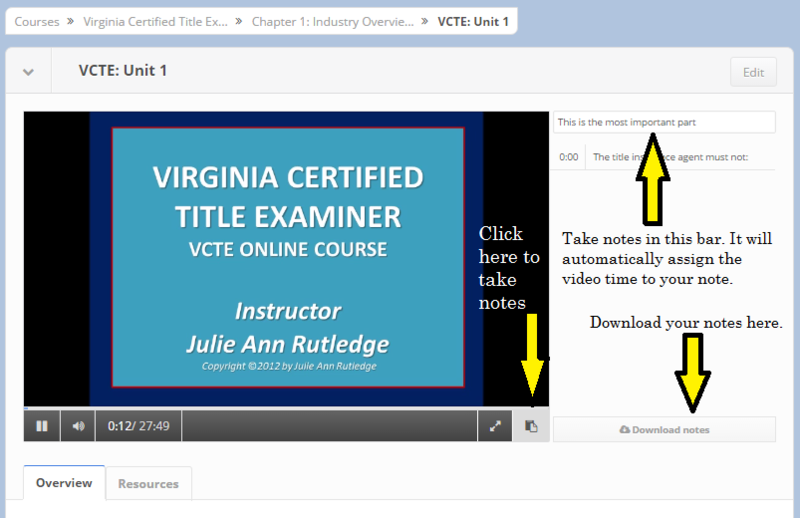 The VCTE Online Course is delivered in eight online chapters, each focusing on a specific area of title examination. Participants have up to twelve (12) months to complete all sessions and the certification exam. Each student is permitted three (3) attempts at the exam. Those who do not complete the sessions and pass the exam within twelve (12) months will need to re-purchase the course to begin the process again. VLTA is notified of those who have passed or failed the exam on a rolling basis. Processing those who have passed the exam can take up to ten business days. PLEASE NOTE: Students must complete the examination under the supervision of a proctor; proctors may be any unrelated, disinterested third-party who can witness and attest to your honest and honorable completion of the exam. To receive CE/CLE credit for this course, you MUST enter and attend to all segments of the course, including learning checks; pass the final examination; and submit the student-proctor certification. VLTA will report your continuing education credits as applicable. If you are a title insurance agent, please ensure your CE ID is on file with VLTA to ensure timely reporting. New title examiners are advised to seek additional hands-on training from an experienced examiner before conducting title examination in Virginia. Important resources are located in your course frame. Please be sure to access & download these resources as needed during your class. You can take notes while you watch presentations. Click on the notes icon, and type your notes directly on the screen. Notes will be timestamped so you can return to the portion of the course related to your note as needed. You can download your notes with the click of a button.